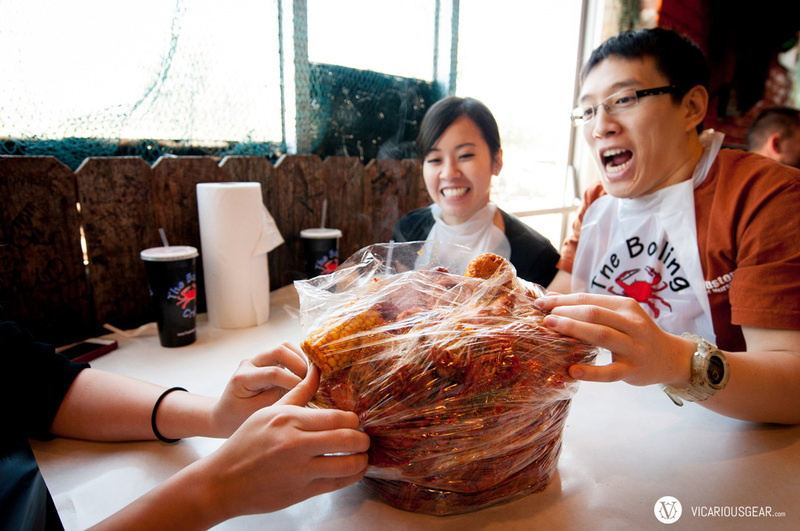 Crawfish season had just rolled in so Boiling Crab was bumped to the top of our to-eat list. Our buddies Kaider, Linda and Jay joined us so we were able to order a ton of the mud dwellers along with our favorite sides of corn, sausage and potato. 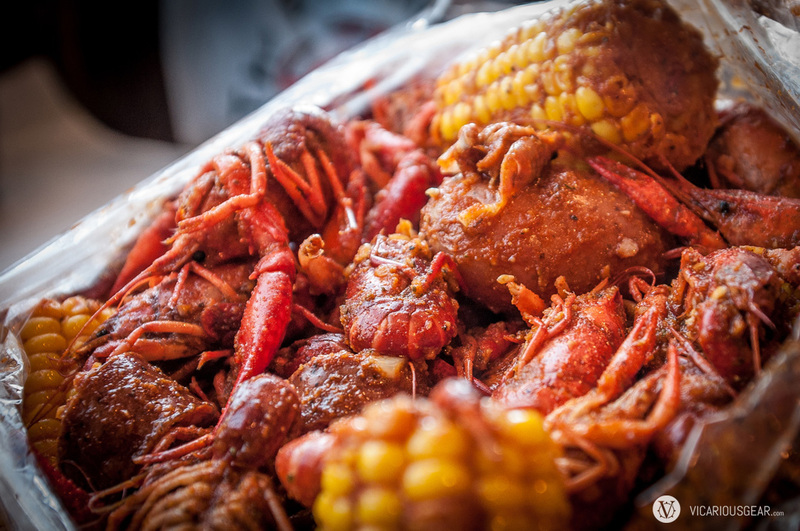 It definitely wouldn’t have that backyard crawfish boil feel without some friends tagging along. Unfortunately, the tasty fried catfish and Cajun fries arrived after our fingers were all dirty, so no pics of those. The only crawfish I’ve seen in Japan were being sold as pets for about 40 USD each. I can’t imagine what this meal would cost if I were to find it here. 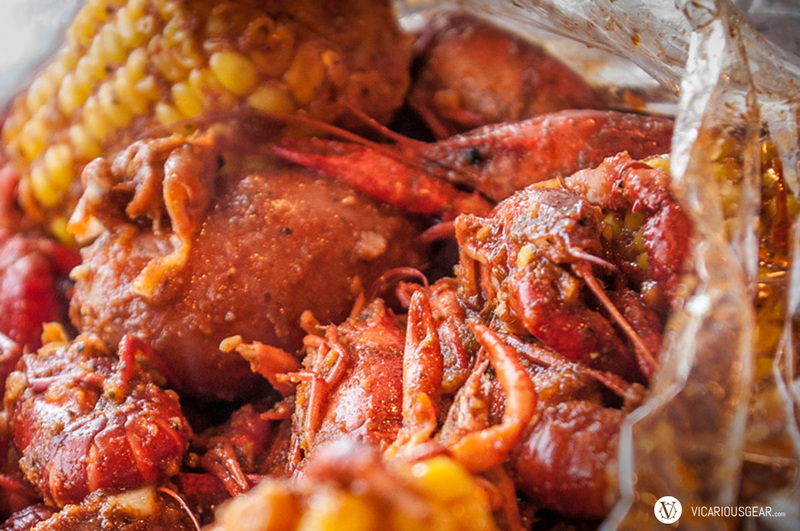 10lbs of crawfish, 1lb of sausage, potatos and corn marinated in the Whole Sha-bang. Delicious. My buddy Kaider in attack mode. One more look for good measure.